Add Cilantro to meats, salads, dips, and guacamole to experience its distinct flavor. Applied topically, Cilantro is soothing and cooling to the skin. When diffused, Cilantro adds a fresh, herbal aroma to any essential oil blend. 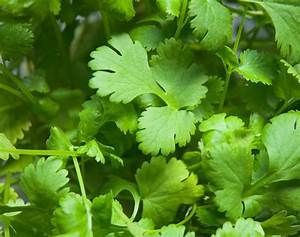 Cilantro is calming and relaxing when used aromatically. Use it to make your own effective surface cleanser. It relieves anxious and restless feelings. When applied topically or diffused, Cilantro creates a peaceful feeling that supports a restful night’s sleep. It keeps the mouth, teeth, and gums looking clean and healthy when applied topically. Apply Cilantro to your fingernails and toenails to keep them looking clean and healthy.